Our Flat Fabric Pop Up Backwall is the perfect display on the go. This pop up wall can be installed in minutes. The lightweight aluminum alloy frame locks in place using plastic hooks while the graphic attaches to the frame with hook & loop. 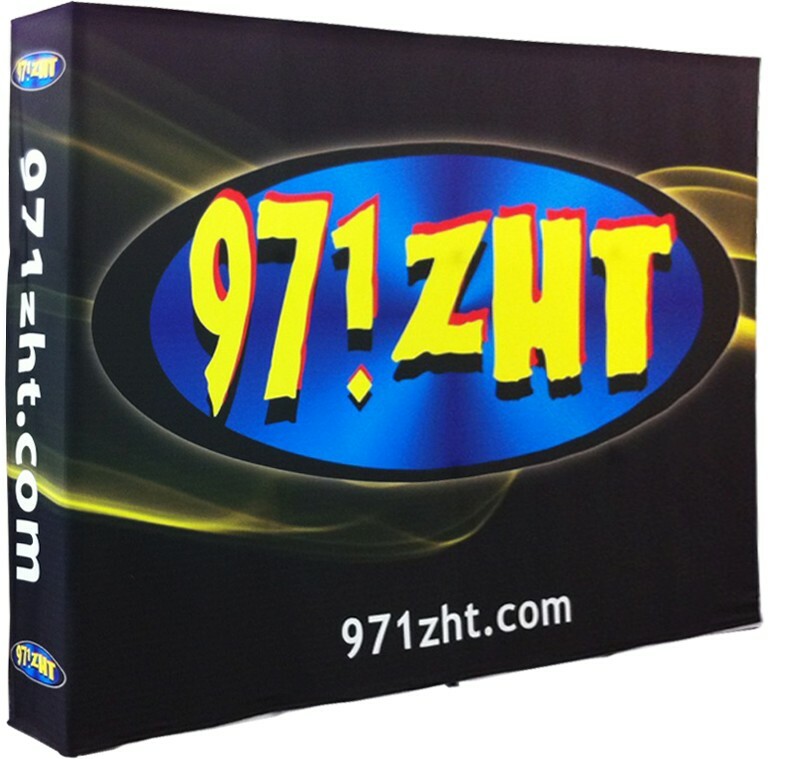 Additionally, fabric graphics can be easily switched out to display a different message. This portable unit easily collapses into the included carrying bag. For more security, consider purchasing a hard carrying case to protect the custom printed backwall graphics and frame.